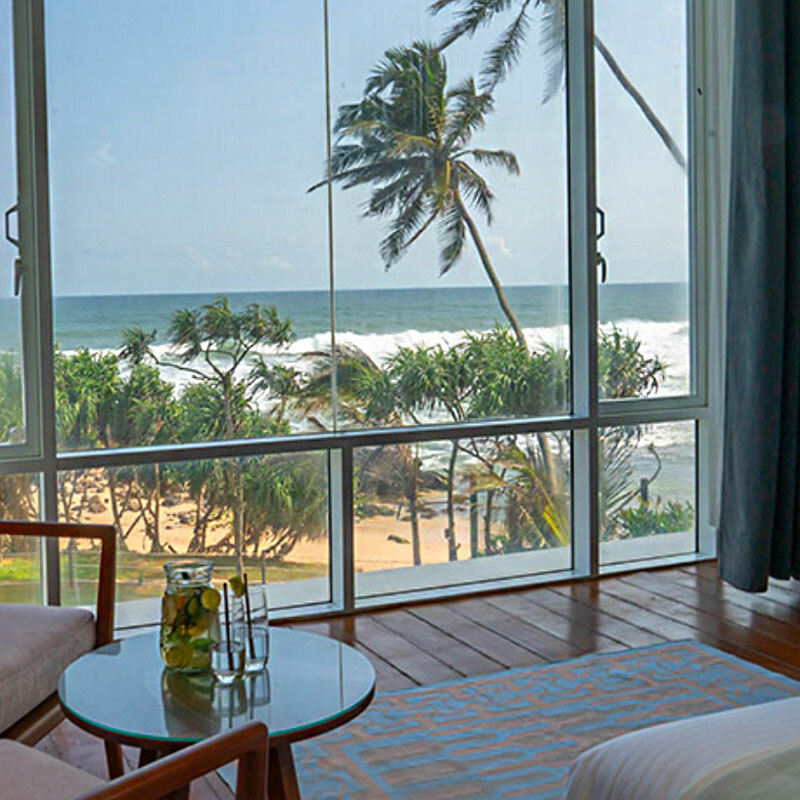 There’s probably a dissertation to be written about Sri Lanka’s surfeit of sleek, modernist hotels and villas, but our instinct is to not inquire too deeply, lest we distract ourselves from the vital task of appreciating them. 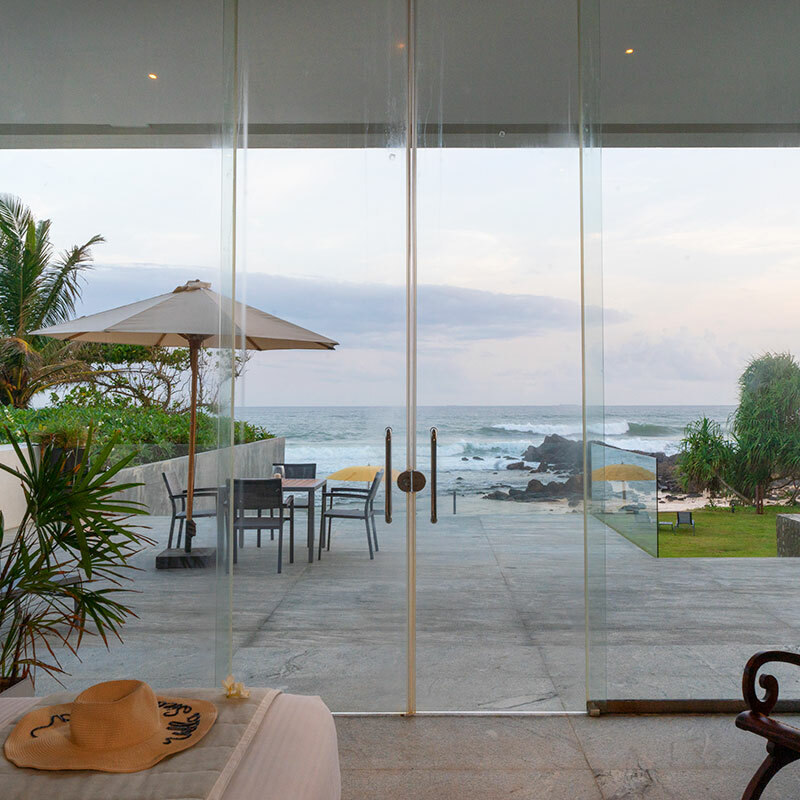 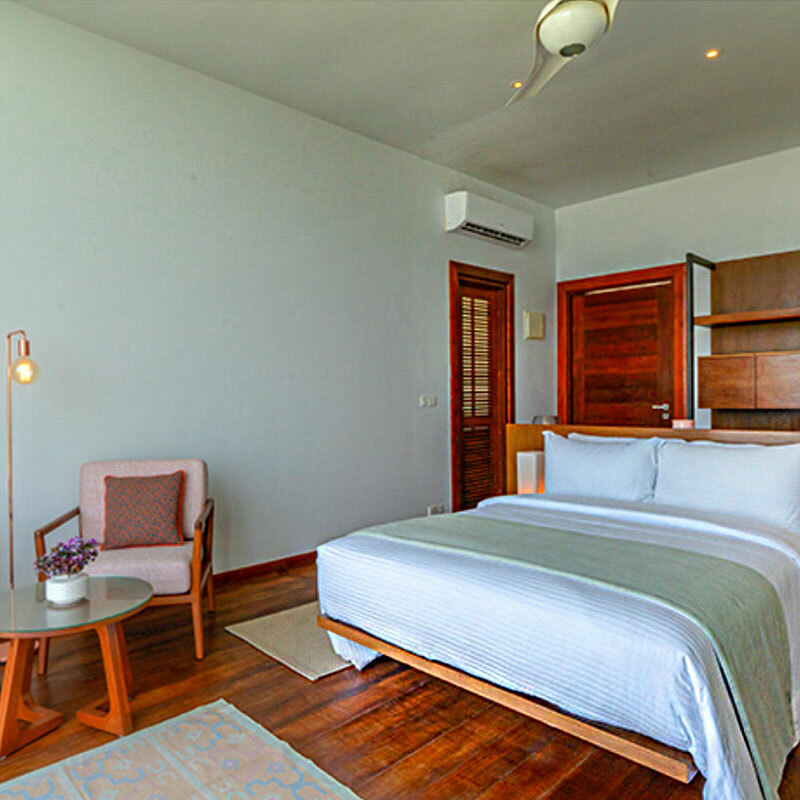 And Villa Sielen Diva, in the coastal village of Talpe, just outside Galle, is worth appreciating: a seven-room hotel built in an uncompromising modernist style but decorated by its family owners in a manner that evokes endless warmth and vibrance from its crisp edges and concrete surfaces. 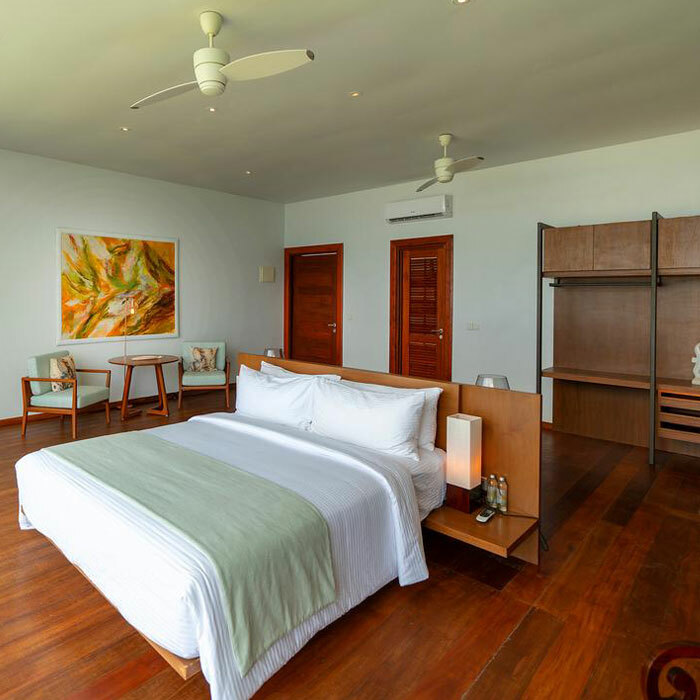 Initially intended as a private home, it turned out to be too stunning not to share, and it now features a professional staff, as well as rooms and suites that combine the best aspects of a small luxury hotel and a personal residence. 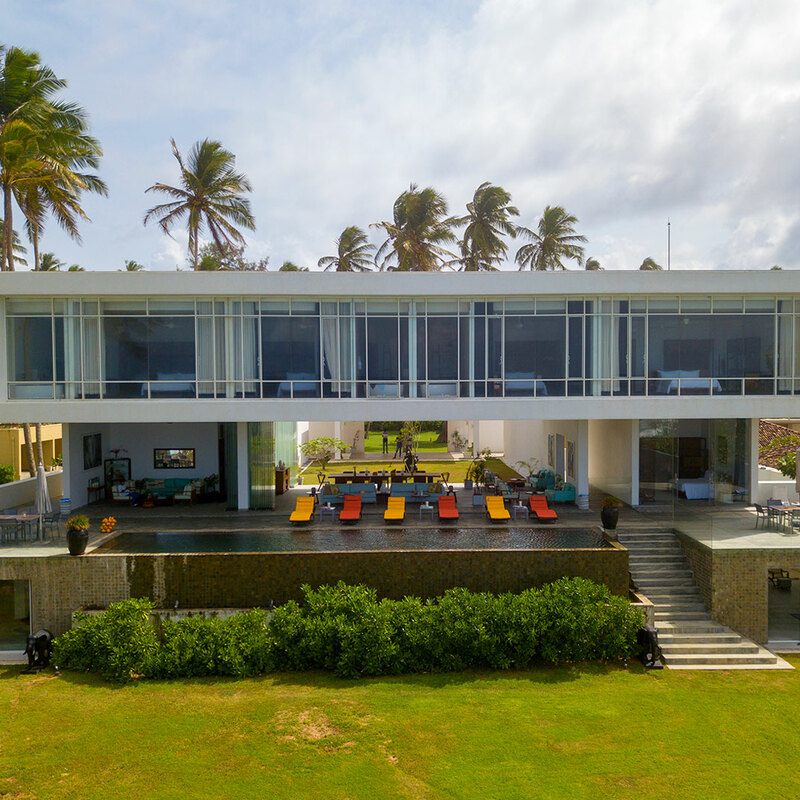 All seven units face out to sea, and though elevations and views vary, the full-length windows provide total immersion. 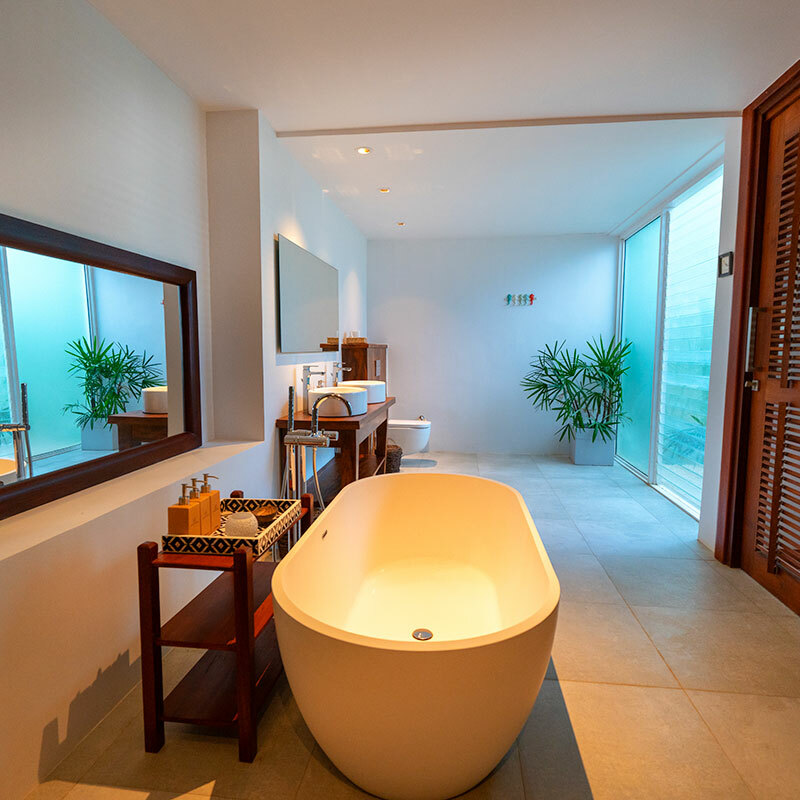 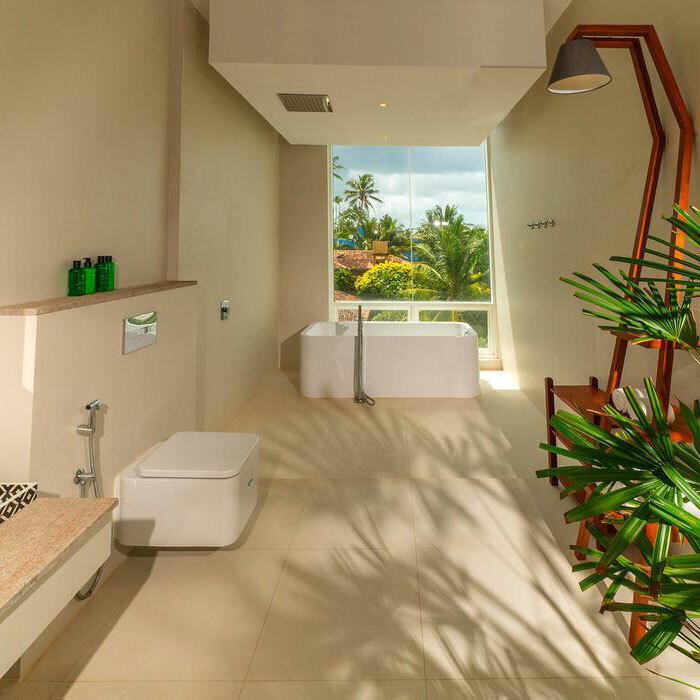 Modern electronics and lavish bathrooms complete the package — though it’s visually restrained, this is an unapologetically luxe experience. 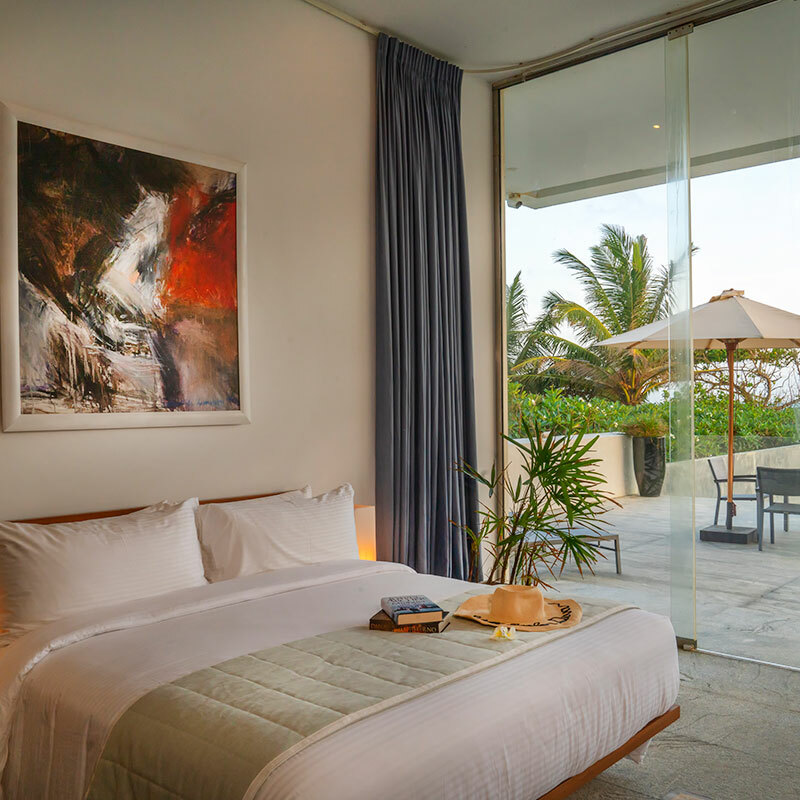 Public spaces include a 17-meter infinity pool surrounded by loungers and overlooked by a sun terrace, as well as a dining room that features dishes prepared by the hotel’s chefs from local produce and seafood. 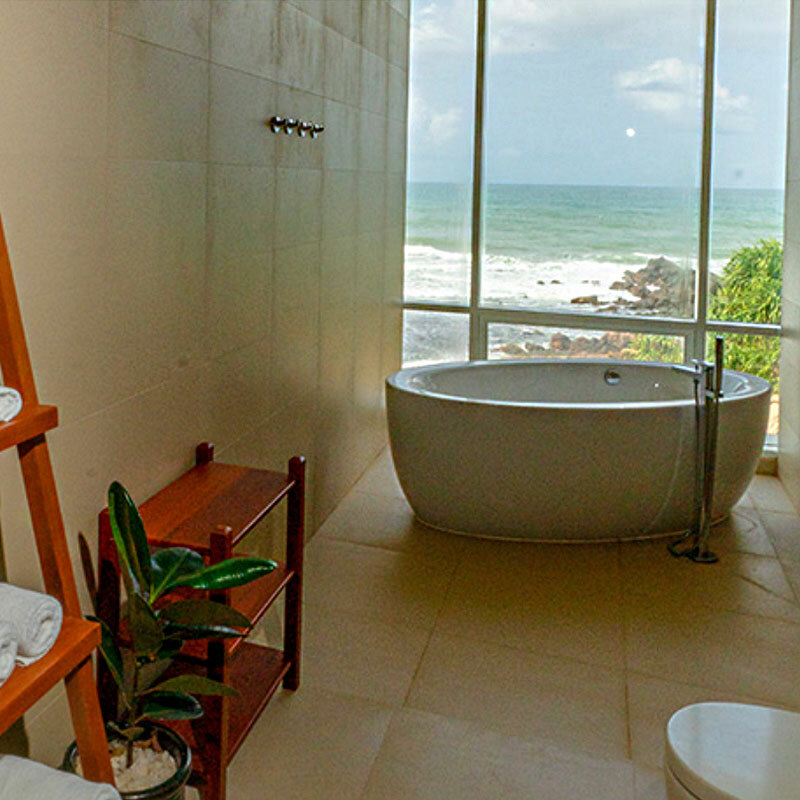 It’s another feather in the cap of a coastline that’s already amply blessed. 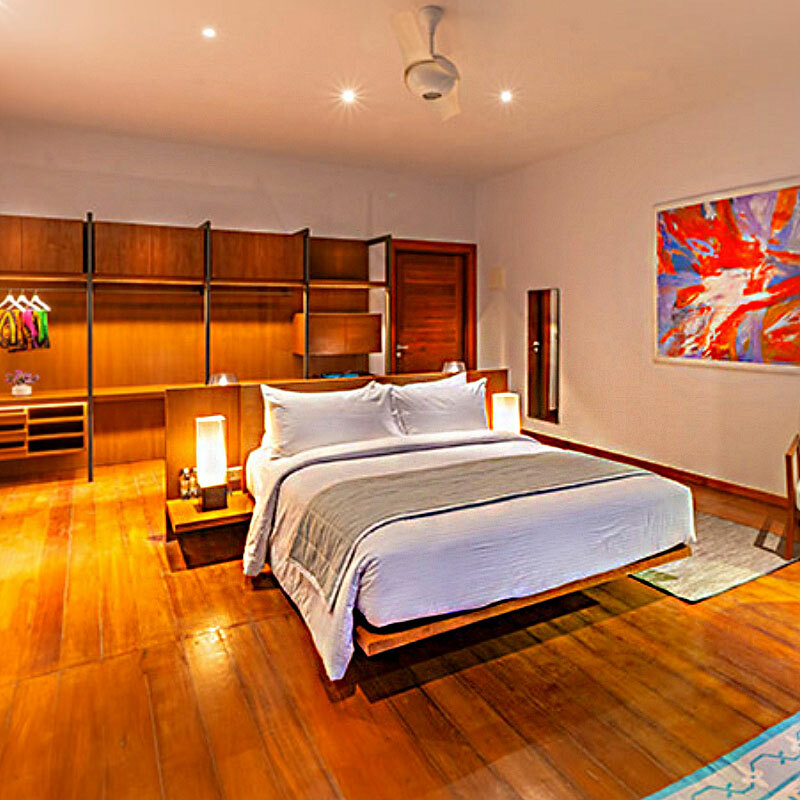 Please note: Only children above the age of 12 years are permitted on an individual room booking. 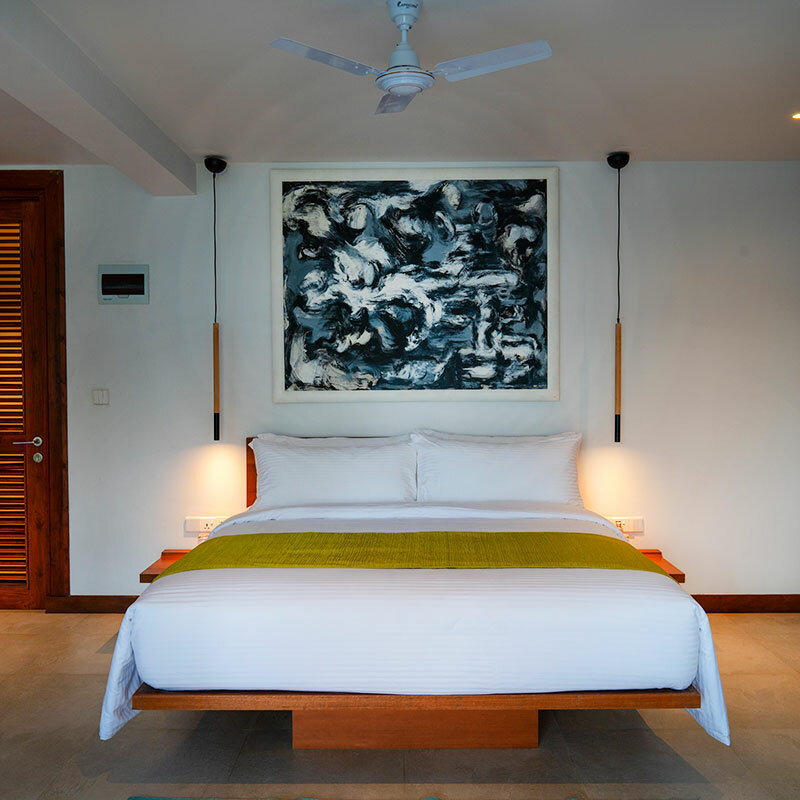 If the entire property is booked the maximum occupancy of the property is 14 persons, which may include 6 children of all ages. 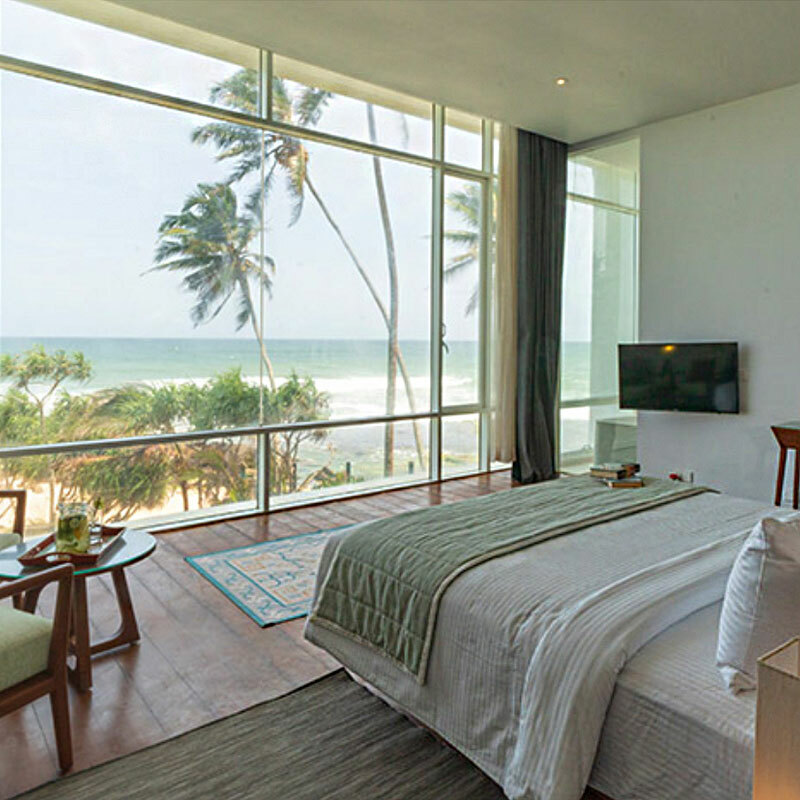 windows have unimpeded views of the Indian Ocean. 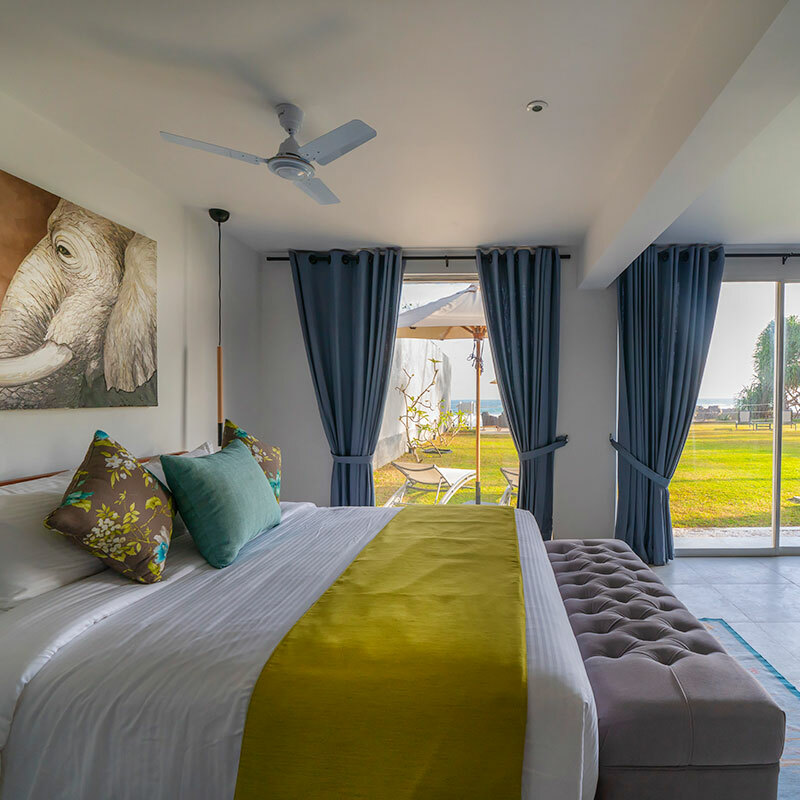 Eli Kunji is one of the two garden and beach level suites. 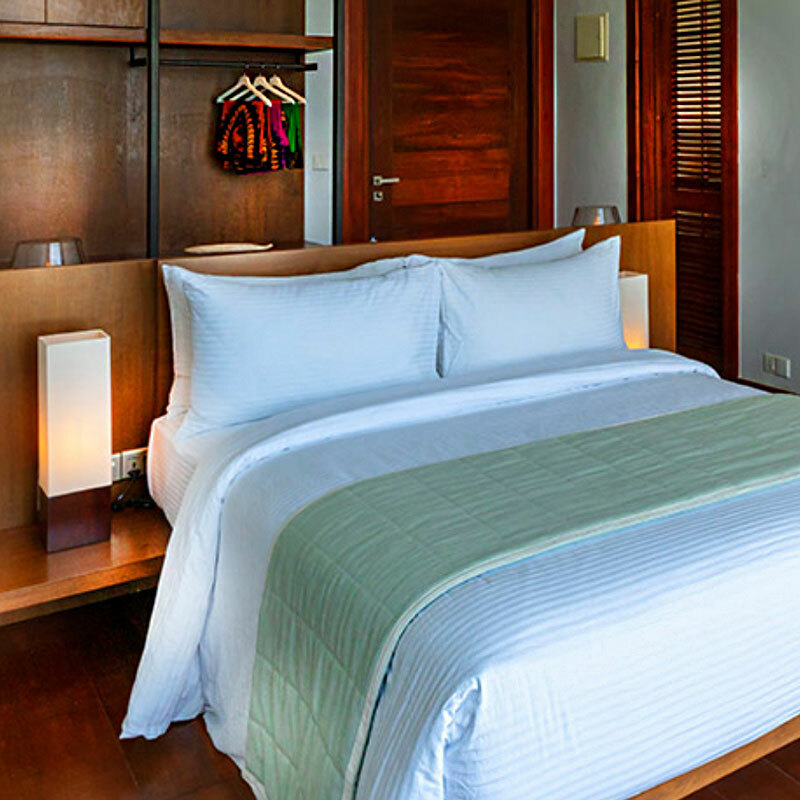 Aliya is one of the two garden and beach level suites.